It seems as though Sylvester Stallone and his friendly rival Arnold Schwarzenegger are having an old fashioned, sweating, grunting, synergy-off: Hot off the stacked heels of Stallone’s new duds for dapper mafia dons, details have emerged on Schwarzenegger’s much-rumored TV project, which appears to be the first and foremost thing on the ex-governor’s mind, no matter what Tom Arnold would have you believe. 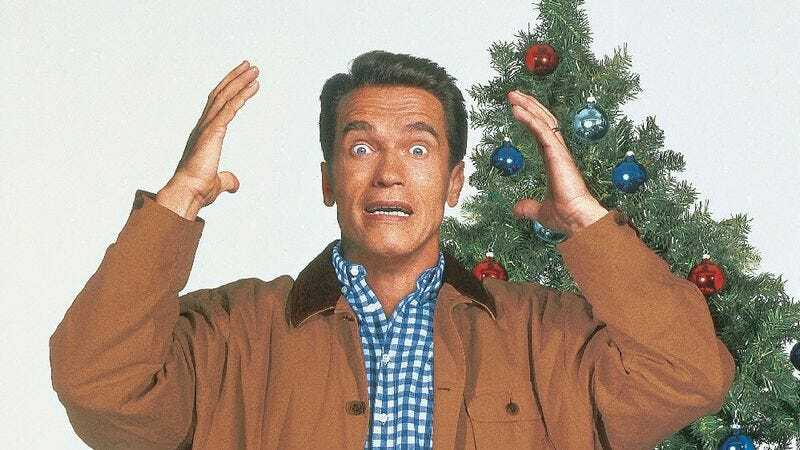 According to Deadline, Schwarzenegger has teamed with children’s entertainment company A Squared create an animated “international TV series” that may very well include a cartoon likeness of the already very cartoony Schwarzenegger, presumably along the lines of the company’s in-development web shows for AOL. These include one where an animated Warren Buffett teaches kids crucial lessons about investing wisely (seriously), another called Gisele And The Green Team where supermodel Gisele Bündchen plays an “environmental superhero” who gets huffy when you bring up Captain Planet, and Martha & Friends, where a 10-year-old Martha Stewart runs an event-planning business with a tiny iron fist.